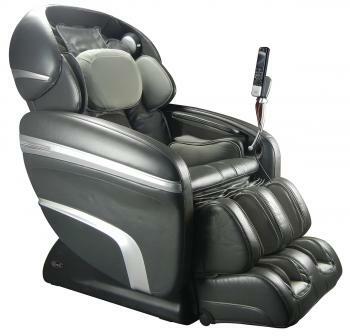 Massage-chair-relief.com, the leading retailer of the latest massage chair innovations, announced this week that they have now added the Osaki OS-7200CR massage chair to their already extensive fleet. The Osaki company is one of the most innovative and prolific producers of massage chairs in the industry and their latest effort, the OS-7200CR, adds notable improvements to their existing massage chair designs. The OS-7200CR is the follow-up to the popular OS-7200H, one of Osaki’s best selling chairs. All of the features that made the OS-7200H one of the most popular chairs on the market remain on the OS-7200CR alongside some exciting improvements. The massage experience of the OS-7200CR begins with a computer body scan system. The body scan uses pressure sensors to virtually map the contours of the user's back to optimize massage accuracy and efficiency. This is a complete body scan and thanks to the new leg scan technology of the OS-7200CR, the chair can accommodate an individual up to 6’4” in height. The heart of the OS-7200CR lies in the S-track movable intelligent massage robot. The S-track focuses on the curve of the neck, mid-back, and lower back areas. In the past, traditional massage chairs have been released onto the market with a straight track. An S-track however works with the contours of the back, delivering a massive increase in massage efficiency. Although the OS-7200CR delivers an intense and soothing massage experience, it is also possible to increase the intensity to provide a deep tissue massage. Located in the backrest cover of the OS-7200CR is a piece of memory foam approximately one inch thick. Removing this foam will make a notable difference to the massage experience and increase the intensity of what is already a vigorous massage. Music and massage have always worked in conjunction with one another for a complete sensory experience and the OS-7200CR combines this soothing partnership in a unique way. Not only can the user connect an mp3 player to the OS-7200CR and have the music delivered through speakers mounted at head level along the side of the backrest, the lower portion of the chair also has vibration plates that can be programmed to actually vibrate in sync with the rhythm and the movement of the music. A new "dome" cover at the top of the chair houses the stereo speakers of the music system. The focus of the new OS-7200CR massage chair however is the new dual mechanical foot rollers that work in conjunction with the airbags to give a wonderful foot and calf massage. Four separate feet airbags massage the acupuncture points located in both feet and 10 v-shaped calf airbags deliver compression massage to the calves. In addition, the airbags around the calves can also deliver a unique stretch massage that will slowly extend forward and pull the legs down. There are many other notable improvements and features of the OS-7200CR. These include a large LCD display, a two-stage zero gravity system, chromotherapy lights, a quad roller head massage system, lower back and lumbar heating, upper shoulder massage, and many more that require an in store demonstration to fully understand the versatility and power of this massage chair. To find out more about the OS-7200CR, or to schedule a time to sit in this chair, contact Dr. Alan Weidner, founder and CEO of massage-chair-relief.com by calling 888-259-5380 or visit http://www.massage-chair-relief.com/massage-chairs/osaki/osaki-os-7200cr/.